**NEW: Check out my new twist to this dish: Hasselback Chicken! It's Cajun spiced and stuffed with pepper jack cheese & spinach. It's just as delicious but easier to make and takes less time to cook! Oh, and I'm pretty sure it will save plenty of trees because it eliminates the need for toothpicks altogether! Cheese was $1.50 a block at my local grocery store, so I took advantage of the sale and bought a few, one of which was pepper jack cheese. My husband and I snacked on some of the pepper jack over the weekend and started chatting about the different dishes we could create with it and we came up with this. It turned out fabulous! The chicken is cooked to perfection and has a wonderful spicy kick from the Cajun seasoning and creamy pepper jack cheese filling. I have made this for my family and company many times and it is always a hit. **If you have little ones eating this or your spice tolerance is fairly low, halve the Cajun seasoning and double the breadcrumbs. Also, try substituting some of your favorite vegetables in place of the spinach. Some of my favorites include broccoli (parboiled before stuffing in the chicken) and crunchy chopped celery. Flatten the chicken to 1/4-inch thickness. Season the chicken with salt and pepper. Brush each chicken breast with the olive oil. Sprinkle the Cajun seasoning mixture evenly over all. Make sure you get underneath, too. Sprinkle any remaining spinach and cheese on top of chicken (optional). Oh my goodness -- isn't it great?! My husband thinks pepper jack would be really good with ham. Guess I'll be trying that in the near future, although I've never had that combo before. This one is really good and healthy too! Thanks for sharing! OMG! This looks so GOOD! I have got to try this! I am glad you like my blog...I love yours too! God bless! Came across this via Pinterest and tried it tonight. It was a hit - thanks for sharing!! Feel free to check out what is cooking in my kitchen at http://madelikemadeley.blogspot.com/. This look so good gotta make this for my family. Anonymous, you can simply pound the chicken breast down to 1/4-inch thickness using a mallet or a heavy pan. I typically place my chicken in a Ziplock freezer bag to avoid splattering. Depending on the size of the breast, you could also cut it in half length-wise before flattening it. Ok so I'm slicing before pounding? That's up to you. Sometimes, I just pound the chicken down without slicing it at all. Slicing it first just saves a little time from pounding. Is it possible to use fresh spinach rather than frozen? If so how would you do it? Yes, it is! Simply cook the spinach in a skillet over medium heat in some olive oil with a little salt and pepper until it wilts down. This looks fantastic, but please know that your calorie calculations are WAY off. I had to adjust the recipe quite a bit to drop the calories. The way your recipe is written the calories are 1,260 total, or 420 calories per serving. Jason, thank you for bringing this information to my attention -- I didn't realize that I still had those counts up there! This recipe was posted way back in 2010 (in the beginning stages of my food blog) and I have since stopped posting calorie counts. I'm sure my readers will find your information helpful, so thanks again! This recipe serves 4, so for all those interested in the calorie breakdown, the recipe comes to approximately 315 calories per serving (depending on the quality/brand of ingredients you use). Yes, it sure would! I have also stuffed chicken with crunchy chopped celery, cooked broccoli and some of my other favorite vegetables. You can even omit a vegetable completely. Wonderful!! Thank you! I know what I'll be cooking tonight!! Do you think the breadcrumbs could be left out of this in order to make it low carb? Yes, you can! You can also use crushed up pork rinds to substitute breadcrumb. I didn't read the comments until just now and my chicken is already in the oven...I didn't realized that the spinach needed to be cooked prior to stuffing the chicken? I used fresh uncooked spinach...I hope it turns out well! You'll be fine -- the fresh spinach doesn't need to be cooked beforehand. Cooking it ahead of time wilts the spinach beforehand and allows you to stuff more of it into the chicken breast. You will most likely just be left with a little less spinach in the end as it wilts down in the oven. Have you every used another cheese other than pepper jack? I love it however my boyfriend doesn't! I have used many other types of cheeses in place of pepper jack and it is still delicious! Looks delicious! I plan on cooking this tomorrow night for the boyfriend! He loves spinach!! What would be some good side dishes to go with this!? Help!!! Thanks! I generally serve this with a steamed vegetable (usually broccoli, zucchini or carrots) and either brown rice or mashed potatoes. My husband likes to cut up the chicken and mix it in with his rice. It would also go well with a simple salad. Hope that helps! Delicious! I highly recommend this recipe. This looks amazing! I just popped them in the oven and realized I didn't use the breadcrumbs! Hope that isn't a problem! I think this will be a hit! And so easy! Thanks for the tip of pounding in the large zip lock! Very clean! Bon' appetit! This was so delish, and best of all it was easy! My family loved it. I will be using this one again and this is perfect for guest. Thanks for sharing! Looks awesome! I'm going to add a slice of ham between the chicken and the cheese! Thanks to you and your hubby! I bought frozen spinach, do I cook it before I put it in the chicken or is it ok to just put it in thawed? There's no need to cook it first. Just make sure you thaw it out and squeeze as much of the liquid out as you can! I saw this on Pinterest and made it yesterday! It was absolutely ahhmazing!!! I had leftover stuffing (pepper jack & spinach mixture) because I only used 2 chicken breasts. I saved the stuffing and made wraps today for lunch. I used a whole wheat tortilla and added the leftover spincah/cheese mixture and some cut-up, fully-cooked chicken (seasoned with the cajun spices). Then I just popped it in the microwave. I suggest this if you have leftovers because it was soso good and soso easy! Do you know who this will freeze? I am expecting a baby in Nov and wanted to stock up on meals before hand. Thanks for sharing, it looks delicious! Yes, this freezes very well. I personally would slice the cooked chicken before freezing it for quicker reheating but that is not necessary. Congratulations, by the way! This was amazing and so easy to make. So good. I used Italian bread crumbs because I already has some in the pantry. I also used my misto to spray the oil instead of brushing it on. My husband loved it and it was super easy. I tried this a couple months ago (heard about it from Pinterest) and OMG, it was AWESOME. I am making it again tonight...Thanks for the delicious idea! made this with gluten-free bread crumbs, yummy! Just put it in the oven. Thanks for the recipe! GREAT recipe! literally just cooked and ate this! I actually some cooked mushrooms with the spinach and pepper jack---OUTSTANDING! thanks for sharing! Cooked this on Wednesday and it was AWESOME. I didn't have any toothpicks on hand, so I cut a slit in the chicken breasts instead. Ahh I didn't do the tooth picks would this be a problem? Brenda, the first time I made these, I just rolled them up and placed them seam-side down without toothpicks. The worst thing that can happen is the cheese will run out. If this happens to you, you can always just add more cheese when they're done cooking! Just made this chicken for the first time. It was delicious. My husband said this is the best chicken recipe he has eaten. Celest I made it that day it was amazing we went groceries shopping yesterday asked hubs to get boneless chicken and he didn't get the boneless one he got the ones with bones! NOOOO lol will this make any difference? Brenda, you could cut a 1-inch slit in the thick side of each breast and work the knife around the inside to create a pocket, being careful not to cut through to the other side. You can then stuff the chicken and fasten with toothpicks. It will take a little longer to cook this way (about and hour). Just be sure to cook to 165 degrees. Good luck! Ahh I already have them in the oven but I cut it in half lol oops, hopefully it will do! Thank you though I hope it turns out like it did the other day it was amazing thank your for this fantastic recipe! I made this last night and it was oh so amazing! I didn't have Italian breadcrumbs, so I used Panko instead and it was A-MAZ-ING! We WILL be making this again. Thanks for the tip! I want to try this tomorrow, but with mozzerella and parm instead of pepperjack, maybe some different spices. Think this will work? I made this for dinner this week. I had 3 lbs of b.s. chicken breasts, so I doubled the recipe. There was no need to! I had plenty of leftover spinach and cheese, so I put it in a small dish and baked it as a side. I used monterey jack instead of pepper jack cheese because of three small children and panko bread crumbs. YUM YUM! This sounds great - can't wait to try this tonight! Do you think it'd work the same if I bought thin sliced boneless skinless chicken breast instead of flattening the regular breasts? and if so - would it still be the same cooking time? Hi, one quick question I am making this tonight and unsure of the cheese. Do i just cut it in cubes or what to mix with the spinach? Sorry I didn't get to the last two commenters right away - I'm on vacation currently. Anonymous, the thinly sliced chicken breasts will work the same as long as they are about 1/4 inch thick. Sara, the recipe calls for the cheese to be shredded because it mixes better with the spinach but cubing it would be fine, too. Looks so great! Need to try it soon! Thanks for sharing! I have never done stuffed anything before. it seems simple enough though, just roll and seal with toothpicks. But once it is done cooking and the toothpicks come out doesnt it just unroll?? Once you take the toothpicks out, the chicken holds together beautifully. Made this tonight and it was delicious!! Thank you for posting the recipe :) I substituted mozarella for pepper jack and it was still wonderful, but will have to try pepper jack next time! I have never pounded or used toothpicks...and it worked perfectly. My husband was impressed. He loves a good presentation. The combo of spicy with the chicken and spinach was perfect. I feel inspired! I made this yesterday and it was delicious! Thank you! Kelsie, you roll the chicken. It all depends on the size of your chicken breast. The reason why it looks like I folded mine in half is because I cut my chicken breasts into smaller portion sizes, so I end up folding them in half. This looks so yummy! I happened to stumble across your blog and I am so glad I did! I looked through a few of your recipes and this is where I'll come when I need dinner ideas! This looks beautiful! 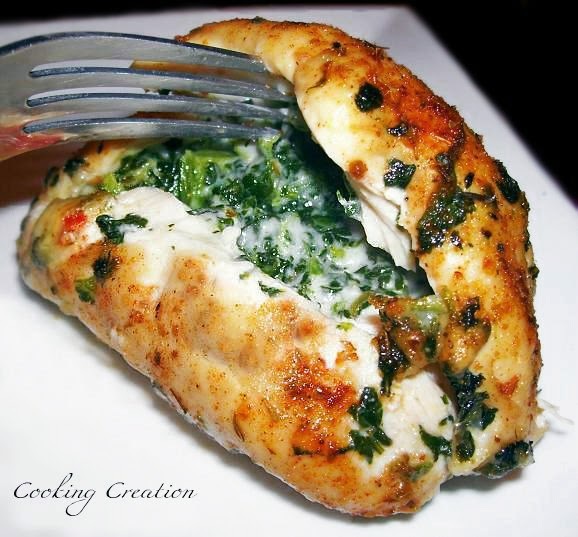 I love chicken stuffed with cheese and ham but this looks like a perfect alternative! What would be a few good options for side dishes? Veggies and starch. Thanks! B. Romano, my family enjoys simple mashed potatoes, alfredo noodles or brown rice for the starch. We also enjoy steamed asparagus, carrots or broccoli for the vegetable. Looks great! But my bf doesn't like spicy, is there an alternative you'd recommend rather than cajun? Anonymous, you can simply skip the Cajun seasoning and use breadcrumb in its place. For a GREAT cajun seasoning, try Howie's Cajun Dust. It's available to buy online at howiesdust.com! This was amazing and a hit with my family! Saw your recipe on pinterest, have not made it yet but would love to try it here soon because it looks so good, but have a quick question! Im sure you have already answered this more than once but Im confused on the toothpick part. 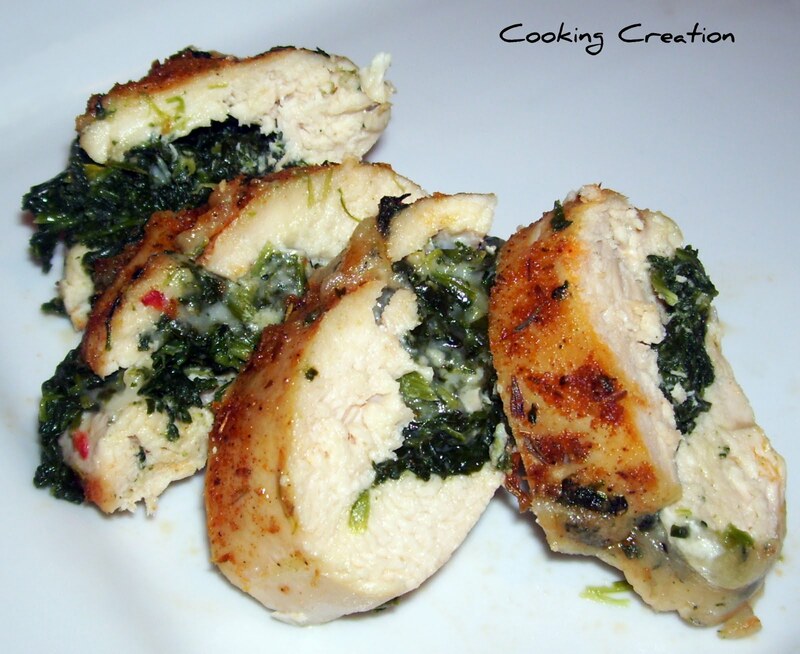 So you flatten the chicken then roll it, so that there is a layer of chicken then layer of spinach/cheese, etc? Or is better to just fold the chicken over? What is the purpose of fastening the seams with the toothpicks and then taking them out, how does this ensure the filling stays in there? TheDailyDW, it all depends on the size of your chicken breast after you flatten it. If it is larger, you will be able to roll it with no problem. If it is smaller, you can just fold it in half. The toothpicks are to seal the chicken around the filling, so it won't seep out during the cooking process. Once the chicken is finished cooking, the chicken stays together and the filling remains inside when the toothpicks are removed. When I say use lots of toothpicks, on average I used about 8 per roll. Hope that helps! I can't wait to make this....I make a stuffed chicken breast similar and I find tying with kitchen string works better than tooth picks ! What temp should I set my oven too?? And how many degrees should the ckn be at to know that's its done? Lena, your oven should be preheated to 350 degrees and the chicken should be cooked to 165 degrees. Do u. Have to use the cajun seasoning? Whats a good replacement? Nicole, you can omit the Cajun seasoning altogether if you would like and it would still be tasty. You can simply dust it with some salt, pepper, maybe some garlic powder and a tsp of your favorite dried spice such as rosemary, basil, etc. Hope that helps! Thank you I cant wait to try it for dinner tomorrow! 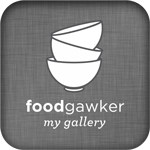 I've just recently started my own blog, with chronicles in my cooking adventures. I wanted to let you know that I cited your recipe, and I had a lot of fun making this stuffed chicken. This may very well become a staple in my home. Dana, I'm so happy you enjoyed making it! Your blog is currently only open to invited readers only, so I wasn't able to check it out. Good luck in your new venture! We tried this tonight and two thumbs up! My 3 year old, 7 year old and hubby and myself left nothing behind! We did swap out pepper jack for mozzarella and gave the kids a pass on spices. I loved it! We are trying to remain Paleo as much as possible. Served with roasted spaghetti squash. Yummy! Thinking of making this tomorrow for my girlfriend on valentines, what would be good compliments to eat with it? What other side dishes would complete this platter? Anonymous: My family enjoys roasted mixed veggies (which you can throw in the oven alongside of the chicken about halfway through cooking, depending on the veggies you use). Other side favorites are mashed potatoes, steamed rice or Alfredo pasta. WONDERFUL! !-- so easy and so good. I used Jalepno Cheese but it was great!! This is ultimate foodporn! it looks so freakin' good! Son's fiance made this for dinner a couple of weekends ago. I was so good. On my menu this weekend! I took your recipe and pretty much threw it out the window lol. Using shredded and cream cheese mixed that with some bacon and that's my filling. And since I discovered that I don't have breadcrumbs, I'm going to improvise and smash up stuffing to use instead. Other than that I'm following the recipe...hoping it turns out as good your picture looks. I believe I read through all of this. I cannot find exactly what you do with the bread crumb mixture when it comes to the chicken. I see about stuffing the spinach and the cheese. Do you stuff the interior with the bread crumbs or use on the outside? After the chicken is rolled around the spinach/cheese mixture and fastened with toothpicks, brush the rolls with olive oil and then sprinkle the Cajun seasoning/breadcrumb mixture on top. Super excited for my family to try this tonight. It looks amazing! I'm glad you watermarked your pic b/c I found you on Pinterest & the pins went to lots of sites, but not here! Oh. My. Gosh. I made this last night after seeing this on pinterest and reading all of the positive comments here on the blog. It turned out SO well! It was tender, moist, and deeeelicious! My dad was so impressed and gave a huge seal of approval. And I know if I get that from him, I've done well. lol. Thank you so much for sharing. It was amazing! my fiance made this dish and it was amazing! I can barely boil water, but I read the recipe instructions and thought "I can do this!" I did and the results were fantastic. Soooo very easy peasy. her nane is Tonya Stairs. I've also reported it to Facebook. I made your recipe as is last Oct and it was delicious! We now also use the cajun seasoning on tilapia! Mmmh I love this reciepe! Making some right now! 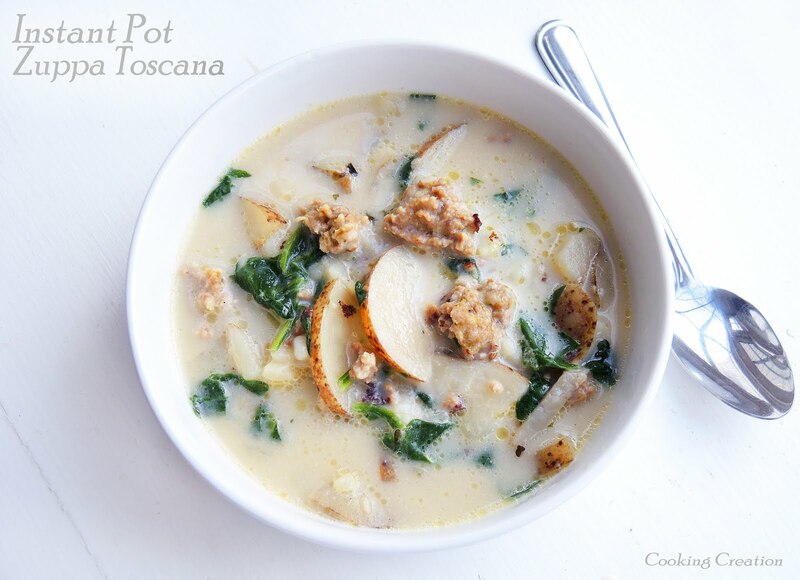 ADD diced mushroom for an added yumminess SO GOOD! HOW CAN I MAKE THE CHICKEN BREASTS THIN? THANKS! so yummy. I used half pepper jack cheese & half habanero cheddar (we are spice fans!) I sauteed fresh spinach with garlic & onion. the cajun seasoning is SO GOOD. I made extra & will use many times over! Just finished eating this for dinner and I enjoyed every bite! The only thing I changed was to use fresh spinach that I sautéed with onion and garlic. Excellent recipe that I look forward to making again. This has solved a long problem, what to do to make the old chook a bit more lively. Tomorrow Saturday night, we will be having this. what are some side dishes that go well with this? Made this and it was outstanding!!! Had leftover stuffing so I added it to my eggs when I scrambled them the next two days! YUM!! Thank you!! I've made this recipe several times and each time it is nothing short of amazing. The one thing I switch is the frozen spinach for broccoli florets. I serve with carrots and onions and jasmine rice (its a great combo with the chicken)! I recommend making this, it'll be a staple recipe thats easy to tweak with whatever you have.